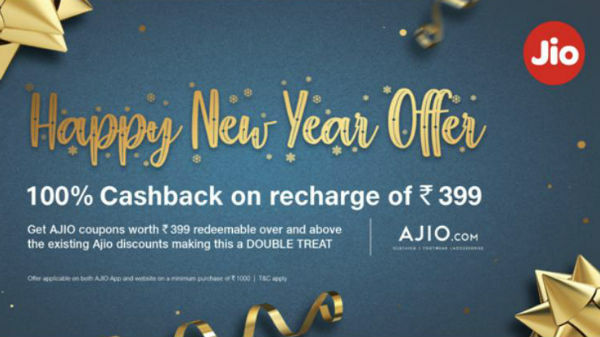 Jio is offering 100% cashback on account of New Year. As the year is drawing to an end, Reliance Jio has announced the Jio Happy New Year Offer. Under this offer, subscribers of the telco will get 100% cashback on a prepaid recharge of Rs. 399. This offer will be valid under January 31, 2019. Notably, this offer comes soon after the validity extension of the Jio Celebrations Pack offering 2GB of additional data for a period of 5 days. As it is offered in partnership with Ajio, the company's fashion portal, users will get a Rs. 399 worth Ajio coupon. Users can redeem the coupon over and above the existing offers on the platform. With the Rs. 399 worth discount coupon, it renders 100% cashback on making a recharge of Rs. 399. Under the Happy New Year Offer, prepaid subscribers of the telco can get an Ajio coupon worth Rs. 399 as mentioned above. The coupon will be added to the MyCoupons section of the MyJio app. It can be used on Ajio website or app on purchases above Rs. 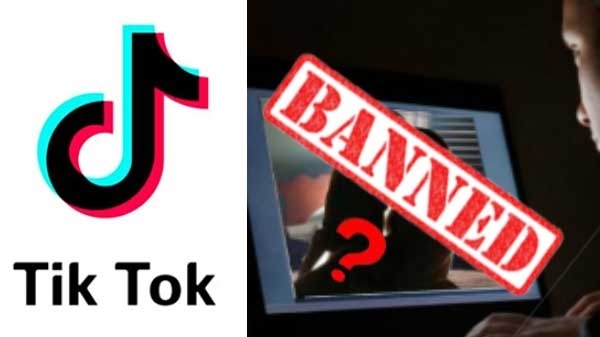 1,000. The Jio Happy New Year Offer is valid from December 28, 2018 to January 31, 2019. The credited Ajio coupon can be redeemed on or before March 15. Notably, this offer is applicable only on the prepaid recharge plan priced at Rs. 399, which is touted to be the high selling tariff plan offered by the telco. Both the new and existing Jio subscribers can avail the 100% cashback offer on account of New Year. And, it can be availed on recharges of Rs. 399 made through online recharge and Jio website or retailers. In order to celebrate two years of its entry into the Indian market, Reliance Jio announced the Celebration Pack offering 2GB of additional data per day for a period of five days for free to the subscribers. Initially, this pack was launched in September and was expected for select users event in November.